An Arduino DUE with a varible resistor commands a servo inside FreeCAD. This post is about making what is shown in the video. At the video I'm using an Arduino DUE because it was handy, but an UNO board is valid too. Any variable resistor above 1kΩ will do the job, in the video I use a 4.7kΩ one. Initialize serial and then constantly print the sensor value. Serial for reading the serial (obvious one) and PySide for the timer object. 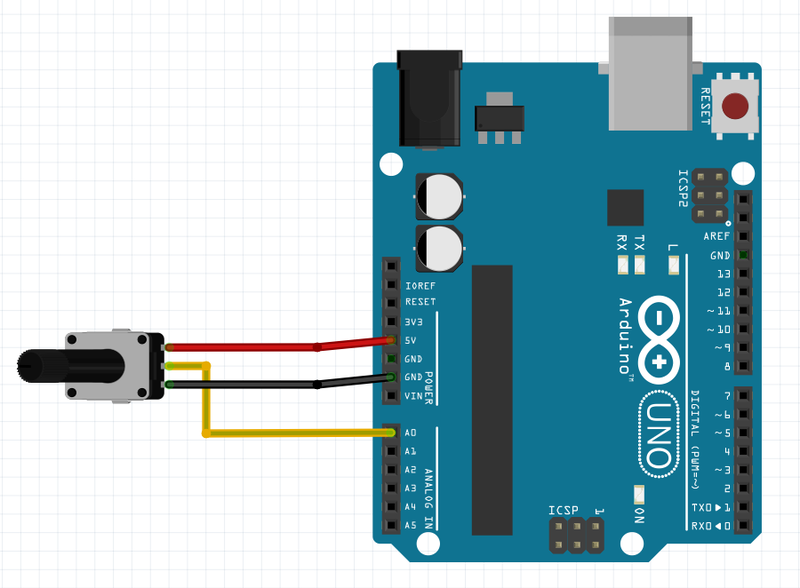 if you fire up the Arduino Ide and open the serial window, the path is at the window title. That prints whatever the serial is saying. We need a function that changes the position of the servo arm to the input value. From the arduino, we receive a number from 0 to 1024, a servo rotates ~180 degrees, so a conversion is needed. The first line of the function SERVO is the 1024 to 180º conversion, the second and third ones do the position change of the FreeCAD object. Note that the servo arm is called "Fillet004". You can test this function by giving values to it, like SERVO(200) or SERVO(1000), it should move. First line creates timer object, second one connects its signals to the SERIAL function and the third one makes it emit a signal every 1 ms.
And this is all you need to repeat my video. There are things that can be improved, for example the timer. Maybe using the threading library can give the same result. About the possibilities, the communication can be bi-directional too, here I show realworld->FreeCAD, but the opposite is perfectly possible. And the FreeCAD objects attributes that can be changed do not need to be exclusively placement, but color or even parametric models.